Gas mileage. This debate has gone on and on for quite a while. While all cars come with an initially listed fuel economy, there has been an epic quest for many to improve this number. At Rolling Auto Service, we have a few tips on how to keep and improve your vehicle’s gas mileage that are inexpensive and guaranteed to work. Watch The Gas Pedal – The temptation, especially when you are in a hurry, is to press on the gas pedal to hurry when the stop light turns green. Slamming on the gas pedal actually wastes gas. Press lightly instead. It may be slower to gain speed, but you will gain better gas mileage. Maintain The Speed Limit – Much like pressing on the gas pedal, people tend to exceed speed limits on highways and streets when they are in a bit of a hurry. However, maintaining the speed limit will spend less gas. Plan Your Trips And Errands Route – While it sounds silly, deciding on the most efficient route to complete your daily tasks will better optimize your fuel consumption. Whether it is starting at the furthest point or making a big circle back to your home, find the route that works for you! Keep Your Car Healthy – This one is key! Cars come with a fuel economy listed at time of purchase. 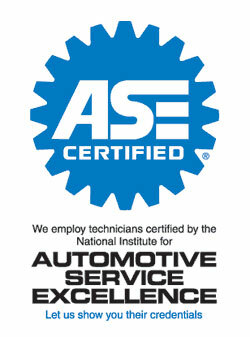 If you keep the car maintained and have service completed regularly, it will remain or even improve in fuel efficiency. However, when service goes to the wayside, your fuel economy can plummet. When you need vehicle service in Venice, FL, call Rolling Auto Service today at (941) 493-6511! Posted in Uncategorized on November 22, 2016 at 9:56 pm by Rolling Auto Service.